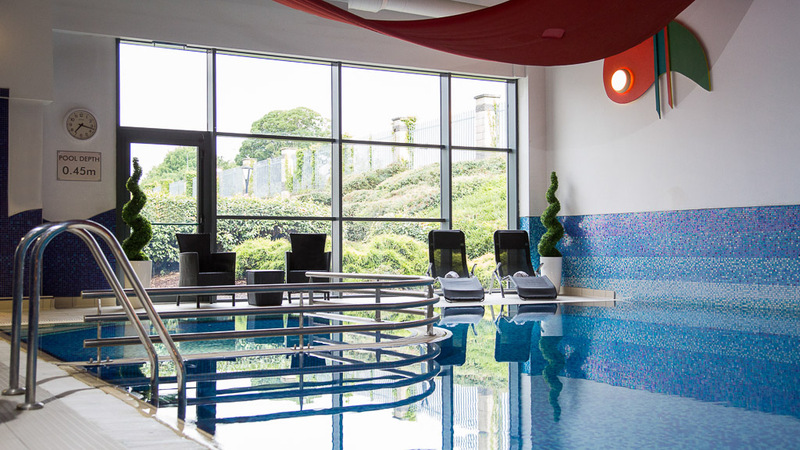 The 4 Star Clonmel Park Conference, Leisure & Spa Hotel in South Tipperary is ideally located off the Cahir roundabout, just 5 minutes outside Clonmel & a stroll to the retail park and shops. Our Lenny Lion Kids club operates during the school holidays and during the months of July & August for children aged from 4-12 years old, activities include Lennys swim club, cupcake decoration, arts & crafts, musical games, DVD nights and lots of fun. Tipperary, The Golden Vale County is rich with culture, heritage and scenery. Lush landscapes & fascinating archaeological sites like Rock of Cashel cannot be missed. Clonmel in South Tipperary is situated along the River Suir nestled in the Comeragh Mountains. Clonmel is the ideal base to visit a wide range of wonderful attractions. 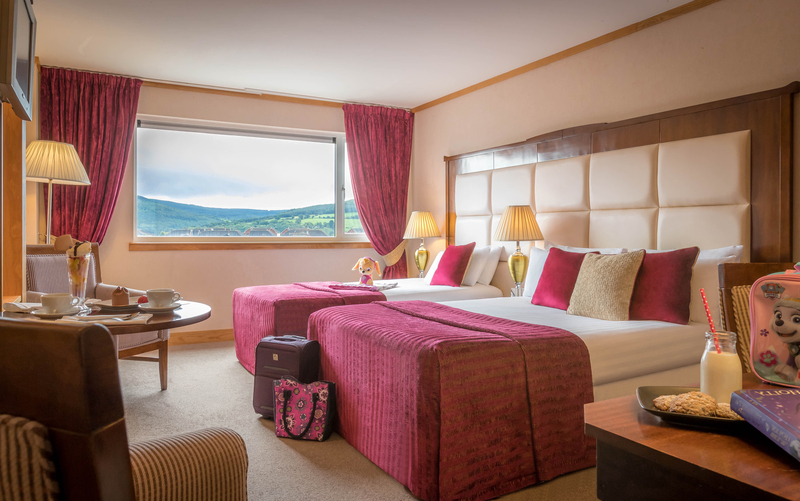 These not only include the breathtaking scenery at the Glen of Aherlow but Cahir Castle, the Swiss Cottage, Mitchelstown Caves and in addition a feast of cycling, golf, walking and equestrian activities. The hotel was grand, not really up to 4 star standard, more like a 3 star with a pool.. The carpet was threadbare in a lot of places upstairs and the bed was very noisy, in need of oil or complete replacement. The staff were lovely and the food was fine. We had the dinner option and the service was very slow, it took them 30 minutes to bring the soup and at the end of the meal another 30 minutes to bring 3 scoops of (melting) ice cream on a plate, all this in a restaurant that was half full, I wouldn't have like to have been then when it was busy!! Had a great stay in this hotel at the weekend. The room was a little on the small side for 2 adults and 2 kids. The walls are a little thin and you could hear what was happening next door (so much so that we thought somebody was knocking on our door when they were actually knocking on the door of the room next to us) The meal was lovely but the restaurant was a bit haphazard on Saturday night. We received our dessert before our starter. We did not mind that though as we were in no rush. There is plenty of choice for breakfast and they cater very well for coeliacs. All the staff are very friendly and helpful. The pool is fab, the kids had a ball and so did we. Would love to go back again. Nice hotel. Convenient and easy to get to. Lovely hotel, friendly staff and immaculately clean. loved this hotel, room was great, food was great, and all staff were very pleasant. Great valu break. Excellent, couldn't fault the hotel for anything. The room was spacious and the staff were lovely. Nice hotel and nice staff but food was horrendous ordered cheese salad sandwich for lunch and it came out with just cheese and mayonnaise..there were four of us altogether and we all ordered sandwiches they came out one at a time. The first person was finished by the time the last person got their food. Things didn't improve for dinner. Waited an hour for the starter which was stone cold. Too hungry to send it back. Main course was no better. I ordered fish with a potato cake. Fish was tiny and stone cold. No potatoe cake just mash. When I asked if was told there was none left. My cousin ordered baileys cheesecake and was given Strawberry. When she asked why she was told there was no bailey's left so they just gave her Strawberry without checking with her first.Little things but big enough to ruin our night awa . Nearly everyone in the restaurant complained that night. I've never seen anything like it. Definitely will not be going back. very pleased with my stay, would visit the hotel again, staff could not be more helpful. I stayed in this hotel with my wife and two children for two nights on easter week and have to say it ticked all the boxes. The first thing i noticed was the everywhere was very clean in the room toilet/shower spotless. There is also a pool here which we all enjoyed and was also very clean. The main town is not far and we had a very nice meal there on one of the evenings in a resturant called the Lemongrass. The foods was great and the kids menu was also very good. There is also a kids club in the hotel for a few hours in the evening which kept the kids happy for some time. I have to say that staff in the hotel were also very friendly and helpful at all times. I am giving this hotel full marks as it ticked all the boxes for us. My wife and I stayed at the Clonmel Park Hotel on Thursday 25th February 2016, for one night Bed & Breakfast. We passed the hotel on many occasions and decided to book a night there, unfortunately it was not a happy occasion for us as I left the trousers of my suit in the room , which contained up to €90 in notes in the pocket. On returning home on the Friday, I discovered , not only was the money missing, but the trousers was also missing. I contacted the hotel by phone and email on four and three times. I asked that the CCTV should be analysed, but eventually I got news that the missing items were not discovered. The management said nothing grey (the colour of the suit) was seen on CCTV. To me that was obvious. I will NEVER stay at this Hotel again. 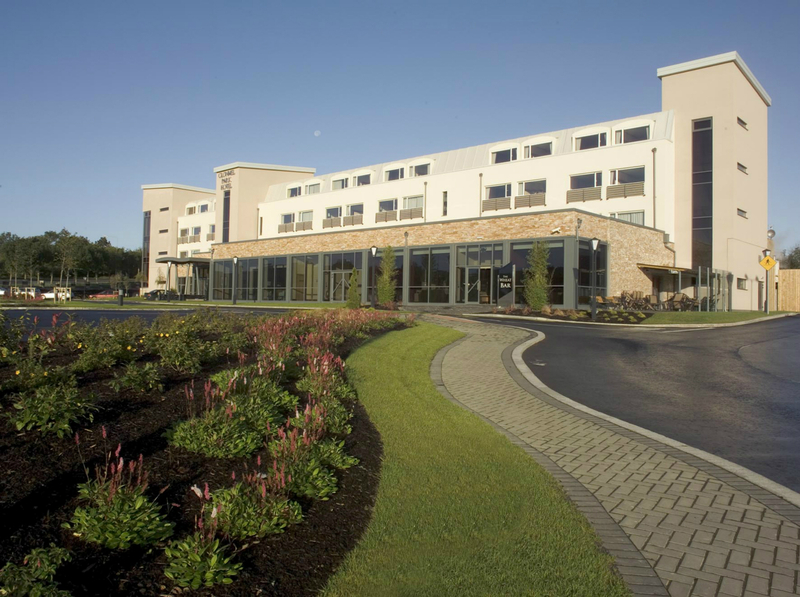 signed :: "Very displeased Customer"
We had a great few night's at the clonmel park hotel, friendly staff, great good, great value through barganbreaks.ie, we will return to the clonmel park hotel no doubt, everything close like supervalue, KFC, ect. Clean rooms, and honest staff as i forgot my wallet and got phone call by hotel and returned that day, we had a 8 month old baby and he loved it. our stay in this hotel was excellent. the staff were extremely helpful and the menu had a very good range. the food was first class. Good hotel beside retail park Rooms comfortable. Small telly.Breakfast as expected. Dinner of a good standard but restaurant lacks ambience. The kids enjoyed the swimming pool. Kids club was free and well organised. Hotel is very well located. We found the staff very friendly and helpful. Rooms are well insulated in terms of noise from other guests etc and the beds are very comfy. I have to say the people at the Clonmel Park hotel gave my wife and I the 5 star treatment on our recent stay. When they found out that it was my wife's birthday they upgraded our room to a suit, box of chocolates and all. The hotel staff were great, nothing was to much trouble. We had a delicious stake dinner after a no problem switch from the set menu to the regular restaurant menu. Best weekend away we had in a long time, so thanks again for a delightful stay. We will definitely be back again for my birthday. I didnt think much of this hotel. It was supped to be 4 star but it is hard to see. The reception and bar area would lead you to think WOW this is nice hotel but the rooms let it down SO much. Old and need refurbishing. None of the furniture matched. The television was "tiny" It was not very clean All the room fittings were crooked - toilet roll holder, bath taps etc Staff were not over friendly either All in all - i will not ever return to this hotel to stay - no problem having food or using the bar but would not stay in their rooms again. Great hotel, room spotlessly clean. Beds were comfy, bathroom new and clean. Breakfast was great and the staff very attentive. Not enough towels/toiletries in our room on our arrival but we got more from reception. Pool was great, sauna and jacuzzi as well. Would definitely go back! Great Hotel. Central location, very close to the town. We found the hotel to be excellent value. We have stayed there several times and have always found the staff to be very friendly and helpful. The only criticism i would have is that we found "The Wheat Bar" to be a bit lacking in atmosphere, it reminds me of an airport lounge. Apart from that, we would highly recommend the hotel to anyone. P.S. The kids loved the swimming pool! Stayed here for one night, as we had a family party near by. Perfect for the night, nice breakfast, great price. The one thing that needs to be looked at is the heat in the rooms, too hot and unable to open the window to get some air. Apart from that very happy. We had reason to visit the above hotel on two occasions in the last month, the first a leisure trip and the second a to arrange and attend a funeral. On both occasions the manager and staff were extremely courteous and kind. The rooms were clean and the food was excellent. The manager showed us great kindness on the sad passing of a family member and arranged a lovely meal for 24 people with very short notice. Thanks so much to the Park Hotel. We look forward to our next visit for the month's mind in Nov.
Just stayed one night. I asked for a room near the lift and we were given that immediately . Staff are very friendly and efficient. Dinner was excellent in the bar and breakfast on the following morning was all that one could ask for. Great food and as much as you wanted. Overall, we were most impressed and would certainly recommend it. We will be back again. We stayed for 1 night as we were going to hear paddy casey in buskers bar sunday night.The room was perfect clean towels comfy bed beautiful view and shower worked perfect.Had a lovely dinner in restaurant and breakfast and staff were real friendly. Also had a nice pint of guinness in the bar. Only a short walk into town. Overall a fab break. We stayed at the Clonmel Park Hotel for the June Bank Holiday weekend with our 2 daughters. We arrived early but were able to check in without any hassle, the reception staff are very friendly. On first impressions the room (217) was lovely, clean, well laid out with a huge window. The bathroom was nice, soap and shampoo were available. There are tea and coffee making facilities, hairdryer, TV, telephone, wifi all through hotel and in bedroom. But the room was stifling hot, we could not open the window as there was a noise from the road and we were worried that our daughter would be sleeping in a draught. The curtains were grand and thick and kept out the light of early morning. The kids club is fantastic, both our girls went and really enjoyed their time there decorating cupcakes, fridge magnets and other arts and crafts and movie nights. The kids club staff are brilliant. The pool/gym are a fine size and there's a jacuzzi/steam room/sauna, lockers are €2 and the showers/changing rooms are spacious and clean. The bar serves food along with the restaurant. We got a meal included and were able to avail of bar food rather than the restaurant food. The food is fabulous with a great choice and very reasonably priced even if you do not have an inclusive package. The issue we had with the bar was the dictatorial bouncer who told us children had to be out of the bar by 9pm. His attitude was just unbelievable, there was no talking to him. He made no alternative suggestions like the lobby for example. Our children were sitting quietly in the corner playing on their DS's not making a noise when he rudely interrupted our evening to announce that they had to leave. Both children upset, we arranged for them to watch a movie in our room, we were lucky that our daughters are that bit older and were able to stay in the room alone but if they were any younger we would have been sorely disappointed that one or both of us would have had to end our night early to sit with them. While away we enjoy listening to some live music, if we are to stay in our room watching TV we may as well stay at home. We totally understand if children are running around making noise and getting in people's way, but our children were very quiet in a corner minding their own business and felt they were being told off by the rude bouncer. There were no signs up around the bar saying that children had to leave by 9pm and in fact we had read reviews online that indicated children were allowed in the bar for the Easter weekend. This really put a dampener on our weekend. Breakfast was lovely and plentiful, with hot and cold food available. Location is good, not far off the motorway and there is a retail park next door. Clonmel town is approximately 30 minutes walk. We visited Parson's Green Pet Farm and the Rock of Cashel over the weekend which were fantastic, the kids really enjoyed the Pet Farm. Lovely hotel.staff very friendly.will return. Lovely room, very clean & comfortable. Staff very pleasant. Spa was lovely, pool in good condition. Dinner was very nice and breakfast sumptuous. Would go back again. ideal for the event we were attending. had a family room that was clean but could do with refurbishment. Nice buffet breakfast and used the gym and pool which was very popular. Staff very pleasant and would stay again! we spent 2 nights at Clonmel Park Hotel during the Easter Break and we really enjoyed our stay. The food in the restaurant was excellent and the staff were very friendly and accomodating to our needs. The Wheat Bar is very spacious and tastefully decorated, our kids played on the floor with their toys and the staff were quite happy to leave them at it once they were not bothering anyone. The swimming pool is also ideal for the children and the Lenny the Lions kids club allowed my wife and I some time to ourselves on both evenings and on the morning of departure too. The activities lined up for the children were very enjoyable too, with a bouncy castle hired in especially on one evening, arts n crafts, musical chairs, a movie and even cup cake decorating, our two loved every minute of it, they are aged 4 and 6. The only downside was a wedding on the first night, we were on the second floor and could hear the music clearly until the early hours of the morning. Apart from that we loved it and Clonmel has plenty to offer too. We had a nice stay at the Clonmel Park Hotel over the Easter break.Hotel rooms were clean, but carpets could do with being changed as some stains on them. Breakfast was plentiful, we did find the bar food to be somewhat expensive to other 4* hotels we've stayed in around the country. The staff were really lovely in this hotel and could not do enough for you, so this is why I've given it a 4* rating. Children are very welcome at the Clonmel Park, so good for families. This is a beautiful hotel, the staff are very friendly and very helpful. The hotel facilities are excellent, and it is spotless clean. The food in the bar and in the restaurant is fantastic and it was excellent value for money, I will definitely be going back for another visit. this is my third time staying, great location for shopping and sightseeing, room lovely, staff very professional and friendly , food and facilities excellent. The staff were very helpful and the hotel and pool were amazing. One of the nicest hotels I've ever stayed at.